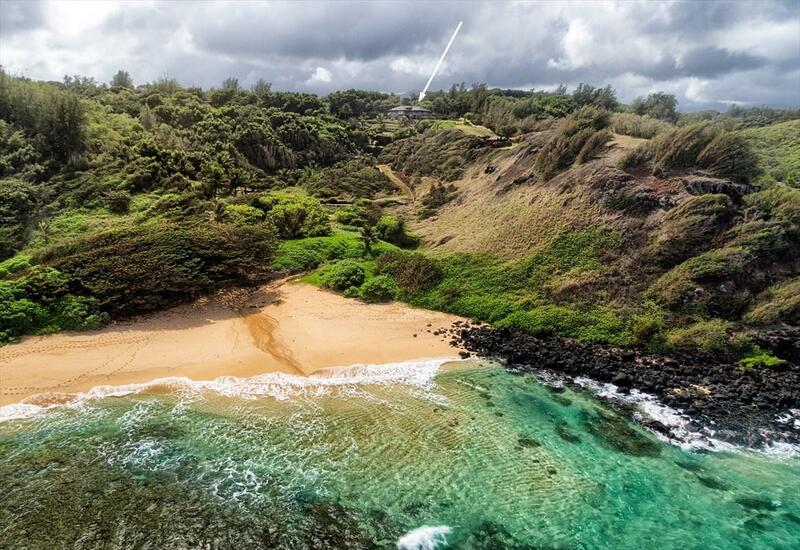 This is an incredible real estate opportunity on the North Shore of Kauai: a more than 21 acre estate with 2,238 linear feet of oceanfront land bordering a secluded. sandy beach. A four bedroom / four bath home, sits atop a ridge, positioned to take full advantage of the property's spectacular ocean views. 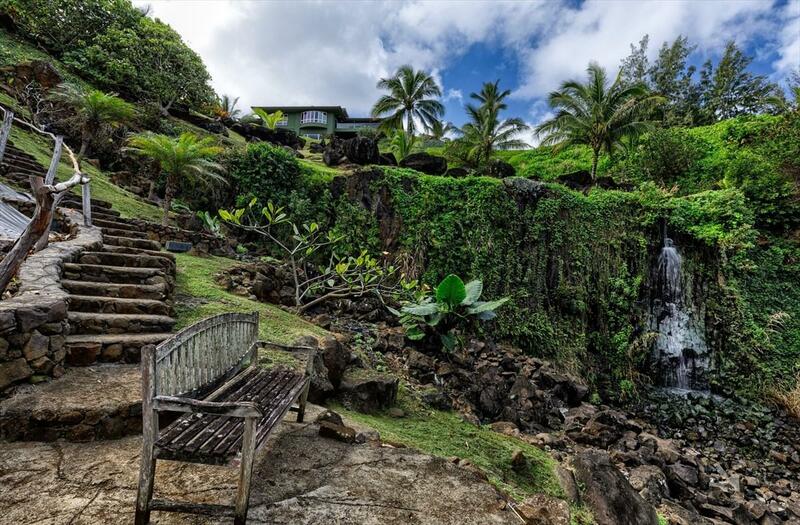 The sandy beach below can be reached by private vehicular access or by a short walk across the property's own garden of native specie flora and multiple waterfalls. 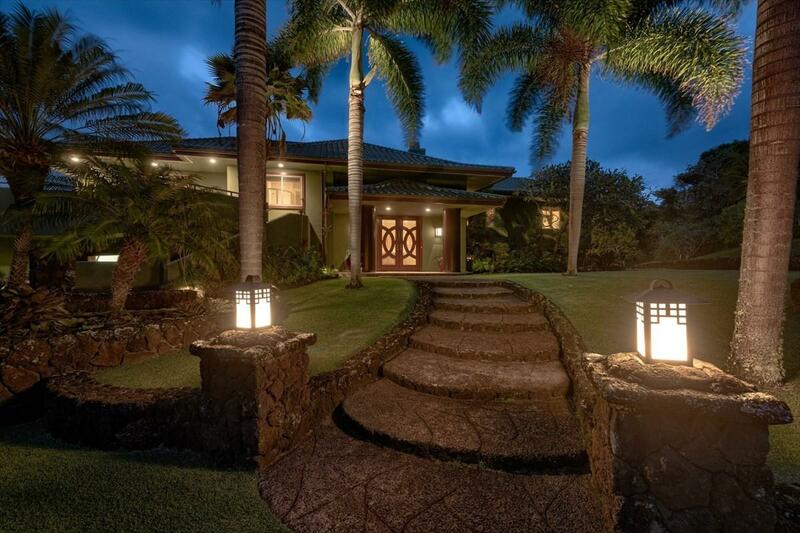 The home also features a beautiful pool with a hot tub and large lanais - the perfect entertainment setting. 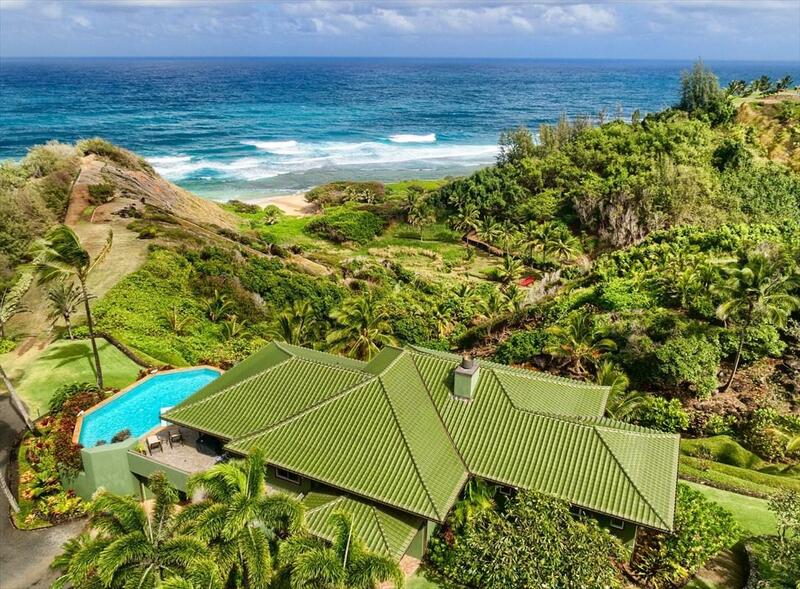 The home offers immense privacy with its location between Na Aina Kai Botanical Garden to the west and the nearly 22 acres of land that surround the home to its east. This is a truly one of a kind property.Offering includes Units B (4-5-1-5-51-2) and C (4-5-1-5-51-4) of the Kapinao CPR. Unit B includes rights to build one 500 sqft guest house.